Gamba grass poses an unprecedented threat to the Northern Territory landscape, and it needs an unprecedented response if we’re going to be able to stop the spread once and for all. Through talking extensively with weed control experts and people on the front line, we’ve identified the following priorities for further funding from the NT Government. Community outreach and education: scale up existing efforts to inform and engage the community around the threat Gamba poses. Support for local landholders: extend funding for the Gamba Action Program. Improved management of public land: ensure that park rangers and public land managers have the resources they need to control gamba. Enhanced compliance and enforcement: increase the resources available for compliance operations by weed control officers and fire safety officers. Strategic collaboration: support collaborative action by key agencies and stakeholders, including Weeds Branch, Bushfires NT and Indigenous Rangers. 1. 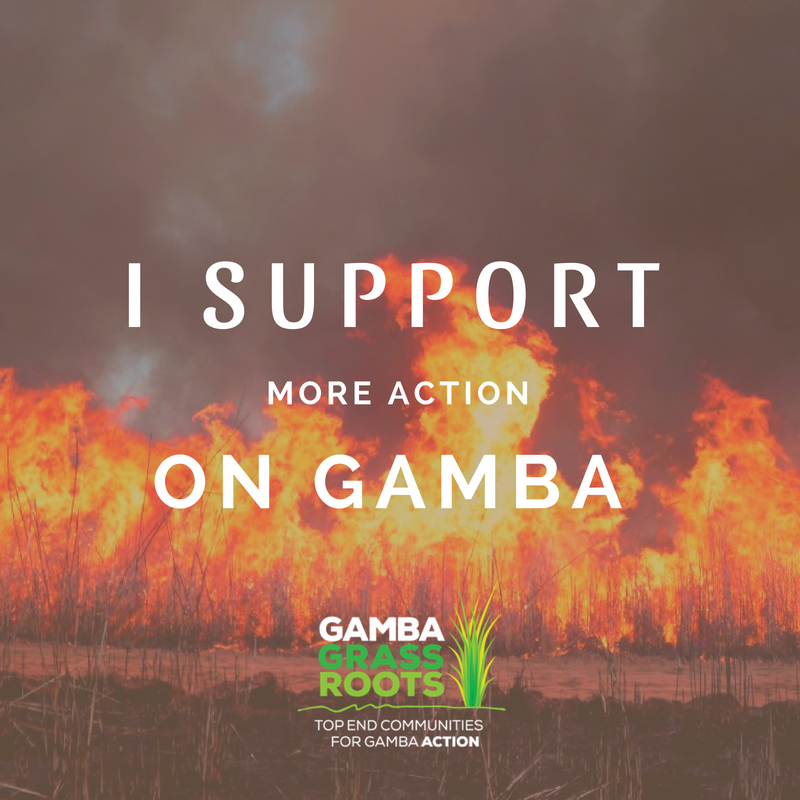 Help spread the word: tell your friends, family and neighbours about the need to tackle gamba. Click here to redirect to Facebook. 2. Take responsibility: ensure that your own property is gamba free, and stays that way. 3. Join The Campaign: Stay in the loop by joining gamba grass roots. Click here to join.